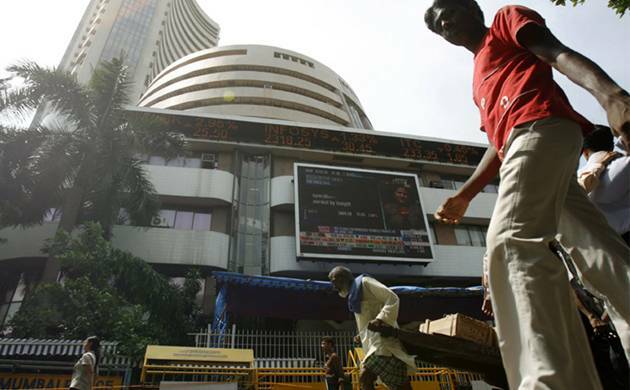 The BSE benchmark Sensex recovered by over 180 points to 28,232.15 in early trade today buoyed by firm Asian cues and optimistic buying by funds and retailers amid rising hopes of GST law passage this week. The 30-share index, which had lost 156.76 points in the previous session, rebounded 180.29 points or 0.64 per cent to 28,232.15 with all the sectoral indices led by metal, infra, oil&gas, realty and auto, trading in positive zone, rising up to 1.17 per cent. Similarly, the broader NSE Nifty was quoting 58.00 points or 0.67 per cent higher at 8,696.50. Buying activity picked up as investors indulged in widening their bets after the government listed the much-awaited GST bill for consideration and passage in Rajya Sabha’s agenda for this week, brokers said. A firming trend in the Asian region also influenced buying, they said. Hong Kong’s Hang Seng was up 1.29 per cent, while Japan’s Nikkei rose 0.49 per cent in early trade today. Shanghai Composite Index, however, fell 1.30 per cent. The US Dow Jones Industrial Average ended 0.13 per cent lower in Friday’s trade on on below-par growth data.